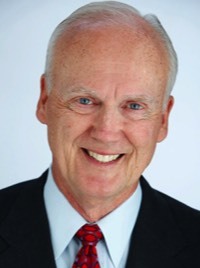 Sutherland C. Ellwood, Jr., Chairman, CEO and Chief Technologist. With 30 plus patents and patents-pending in the US alone in display, photonics, and related systems, Ellwood has been developing display technologies, structural systems and power systems, and software systems for over 25 years. Ellwood successfully founded four technology companies overall, including one earlier display and photonics technology company and two successful software companies. He was an 18-year production and technology executive working in the digital production side of Hollywood, serving as an executive at DreamWorks SKG, The Walt Disney Company, and 20th Century Fox. He received a B.S. in Organization Management and in Economics from The Wharton School in 1985, and began studying college physics at the age of 15, continuing through University. He is also the founder and Managing Partner of private equity firm Ars Nova Capital, which specializes in investing in the dynamic intersection between media and new hardware and software technologies, networks and infrastructure. Ian Spenceley, Board Director and COO, International Business. Co-founding Photonica with Sutherland Ellwood, and International Partner and co-founder at Ars Nova Capital, Mr. Spenceley's background ranges widely across the entertainment and technology sectors, with an emphasis on creating international partnerships and identifying opportunities across Asia, North America, and Europe. Mr. Spenceley, based for many years in Tokyo, will be dividing his time between London and Singapore and continuing to guide and assist at the board level, and on behalf of Ars Nova Capital, Photonica's international partnerships. Frank Stirling, Board Director and President the Americas and Envision Defense & Industrial. Mr. Stirling has been a pioneer of the digital cinema conversion of motion picture theatrical exhibition, as former Executive Director of Digital Cinema for The Boeing Company, and prior to that, head of Hughes Digital Cinema. During his time co-leading the conversion of an industry from celluloid to digital projection and distribution, he co-invented a patent on digital cinema using bandwidth efficient modulation for satellite distribution of content. Prior to his historic role in advent of digital cinema, Mr. Stirling preceded his 15 years of private sector and entrepreneurial management experience in senior management, operations and engineer with a 25-year career in the Air Force as Colonel, marked by historic milestones in high-altitude satellite systems, from development to launch. Mr. Stirling is also a Partner of Ars Nova Capital. Katie Arons, Senior VP of Business Development and Marketing. A founding member of the Photonica team, Ms. Arons has worked closely with Mr. Ellwood and Mr. Spenceley for over ten years in a number of prior assignments and ventures in digital media and technology. 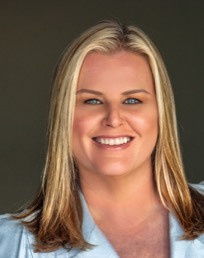 Her roles have included senior positions leading marketing and publicity and business development for both of the team's ventures in display and photonics, including securing the core members of the Photonica' team's digital cinema sector leadership group and developing key customer relationships in CE and entertainment and exhibition companies. Prior to her work with Ellwood and Spenceley, Ms. Arons was a new media entrepreneur, founding a successful multi-platform new media/traditional media hybrid platform company that pioneered a now widely recognized affinity-group market segment. She is also a veteran of the film and television industry since the 1990's, and joins Ars Nova Capital as a Producer. Nick Kambayashi Executive Director, International Business. was Senior VP of Cosmo Communications, consulting and investment banking service firm founded by fellow former senior Pioneer Electronics executive and Consumer Electronics Hall of Fame member Ken Kai. Cosmo Communications worked in the Media, High-Tech and cross-over sector, with major deals including intermediating joint ventures, such as MTV Japan and Warner MYCAL, the first US style multi-complex theater which became the largest theater chain in Japan, and fund raising for Japanese start-up tech companies, and international independent film production companies, such as Carolco Pictures and Indie Productions, etc. Prior to Cosmo he was a nine-year veteran of Pioneer Electronics, rising to senior management in international business, having started there as a mechanical engineer. Pioneer Electronics was one of the major Japanese Audio/Video equipment manufacturers at the time, a leader in the introduction of the laser video disc and other optical disc technology and later in plasma flat-screen televisions. From his roots in engineering, he expanded his portfolio at Pioneer in marketing, product planning, business planning and international business. 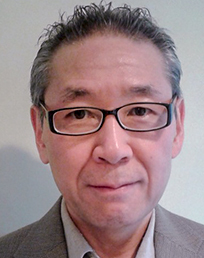 Since the retirement of his former business partner Ken Kai, Kambayashi continued in the business they developed as Cosmo and has worked on projects with the Photonica team for over ten years. 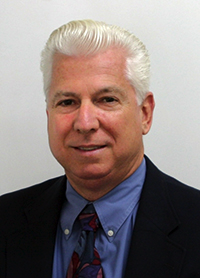 Harry Mathias, President of Photonica Video Display Systems. Mr. Mathias was Director of Digital Cinema Technology and the senior Technical executive at NEC Digital Cinema. Prior to NEC, Mr. Mathias was Director of Digital Cinema, America at Barco Digital Cinema. Mr. Mathias was Director of Motion Picture Technology, Worldwide, for Schneider Optics; and Senior Consultant to the CEO of Panavision Inc. (under 3 CEO's). He was a Founding Member of the SMPTE DC28 D-Cinema standards committee and has been elected as a Board Director of ICTA for 2 terms. Mr. Mathias is a published author with many books and articles to his credit. Mr. Mathias was a motion picture Director of Photography on 18 feature films, 21 network television dramatic shows, and many national commercials. Mr. Mathias also was nominated for an Academy Award in 1980. He received both his Bachelor’s Degree in Radio, Television, Film, and Broadcast Engineering and his Master’s Degree in Media Interdisciplinary Studies, with an emphasis in Electrical Engineering, from San Francisco State University. 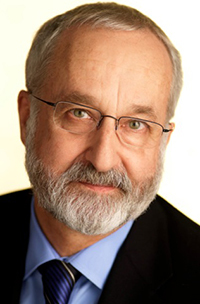 Walt Ordway, Special Advisor to the Board on Video and Cinema Industry and Professional Standards. Mr. Ordway is held in high esteem in both the theatrical exhibition and motion picture industries. In 2006 he was honored with the Inter-Society Ken Mason award and a ShoWest Digital Cinema Pioneer Award. 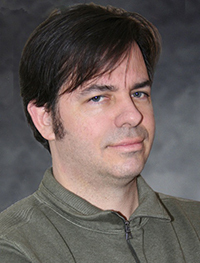 Most recently, Ordway served as chief technology officer for Digital Cinema Initiatives (DCI) to create a specification that could be used to set a common format for digital cinema content and systems. Prior to that, he served the Hughes Aircraft Company for 30 years in various capacities, most notably doing a preliminary analysis in 1993 of the potential digital cinema business opportunity for Hughes, and as a vice president in the engineering group of Hughes DirecTV. 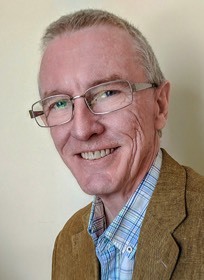 Under the leadership and guidance of Sutherland Ellwood, the Photonica Technical Team leverages a powerful extended group of world ranked leaders in their respected fields of our fundamental technology areas.